This is the circuit I am using. The Arduino is powered by a 12V DC adapter trough the DC IN jack. When run I can hear the tones changing but is really really low. I have measured the voltage between buzzer pins and it is 12V (as expected) so the MOSFET seems to be properly working. I am making any mistake? Thanks in advance! The piezo element acts like a capacitor, not like a more-or-less resistive element as in a conventional speaker. You need to discharge the capacitor during the 'off' time or you just get a click and little sound after that. That's why your resistor helps. Push-pull would be much better, and an H-bridge would give you much more output (maybe too much for the speaker). Also the IRZ44 is not specified to be driven from 5V (it's specified at 10V Vgs) so you may not get much current. Further, if you're trying to get 10's of kHz, you won't be able to drive the MOSFET gate that fast with a 1K resistor, in fact the Arduino may not be able to source enough current and you may have to use a gate driver. If you can measure the capacitance and provide the frequency of interest, more specific recommendations would be possible. At 2kHz about 3K would be okay with a 10nF element, but that resistance would decrease with increasing resistance and with increasing capacitance, and at some point the power dissipation in the resistor will become excessive. You could even duplicate the above circuit and add an inverter in series with one of the halves and get 24Vpp across the piezo, but you might want to use somewhat beefier transistors (Zetex perhaps). Not the answer you're looking for? 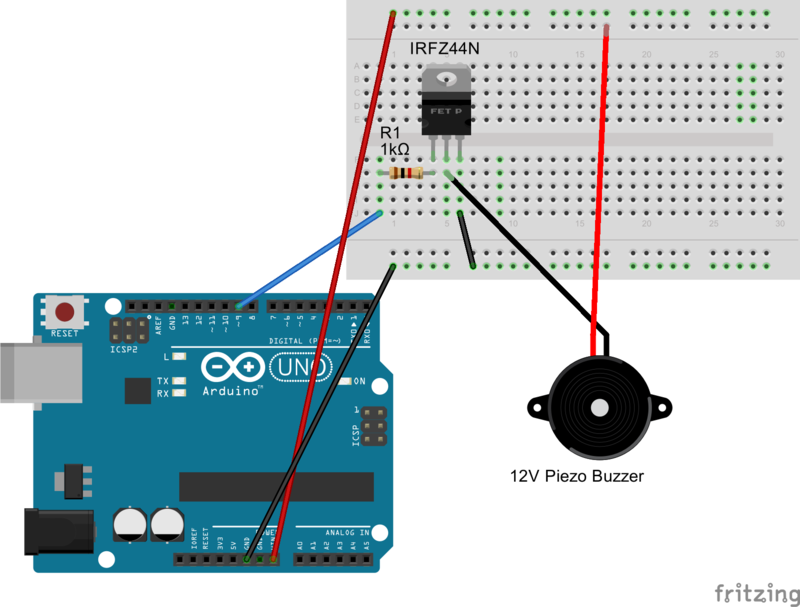 Browse other questions tagged arduino-uno piezo buzzer or ask your own question. Why is the piezo buzzer not making any sound? How do I make specific tones with a piezo buzzer? Why is the piezo buzzer not looping/making sound? 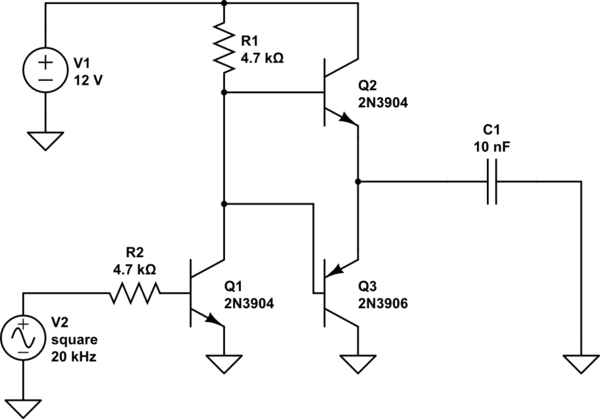 Does the tone() generates unwanted signal?